In Native American cultures, a special emphasis is placed on the tools and ceremonies that developed over millennia. Tribes believe that through objects, humans can reach out to the spirits of the world and protect themselves from harm. Perhaps one of the best examples of this is the Native American Prayer Fan, which has always held a sacred role. 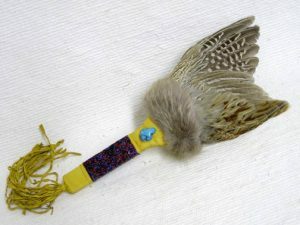 The prayer fan is often made using bird feathers. Native Americans believe that birds are a link between our world and the spiritual realm. Depending on the ceremony, bird feathers are used to perform ‘healing’ ceremonies, which seek to rid individuals of spiritual and physical pain. Choosing the appropriate feathers for the fan is considered an incredibly important process. The smoke is believed to further connect us with the spirits and is practiced throughout not only our Native American tribes but with many indigenous cultures. First, herbs or plants are mashed in a clay bowl as prayers are spoken. The fan, usually composed of eagle feathers when used for smudging, is then waved to immerse the individual in the smoke. It is said that this smoke will absolve you of the negative energies and emotions you may have. The ceremony uses all four elements; fire, to light the herb; the bowl and the herbs, from the earth; water; and the fan itself, air. 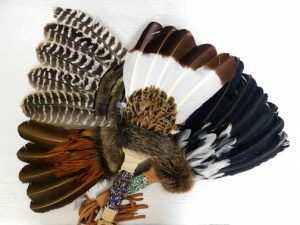 At Kachina House, we offer a vast collection of diverse prayer fans, ceremonial fans, spirit feathers and more. 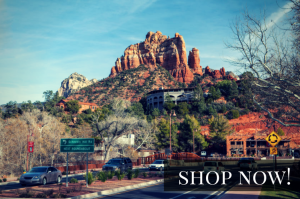 Explore our Native American crafts and artifacts online or come visit us at our showroom at 2920 Hopi Drive in Sedona!